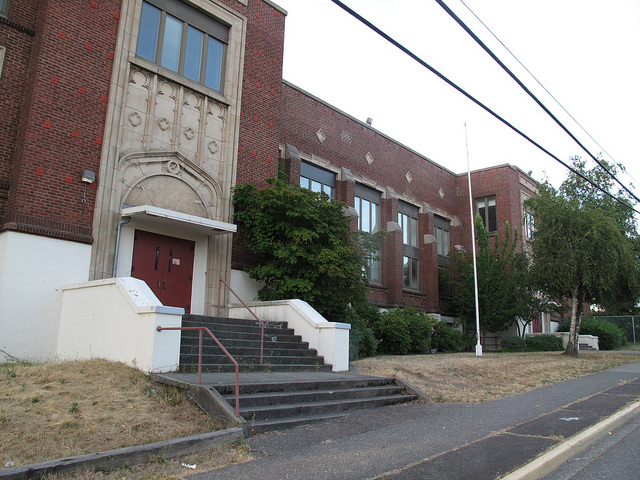 Gray Middle School was one of six intermediate schools placed under contract in Tacoma in 1924. Constructed in It was originally called Captain Robert Gray Junior High School, named after the American naval officer and explorer who, in May 1792, was the first to sail a ship into the Columbia River, as well as Gray’s Harbor. This entry was posted in Schools, Tacoma, WA State - Pierce County and tagged Gray, Middle, school, Tacoma on August 8, 2011 by admin.